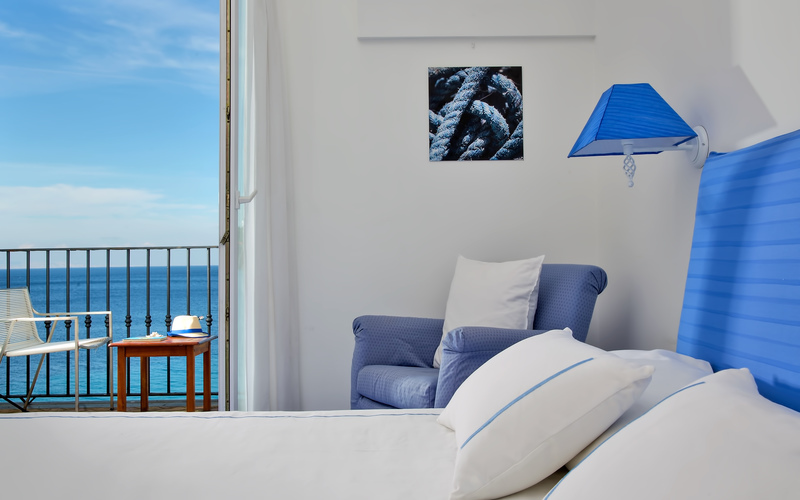 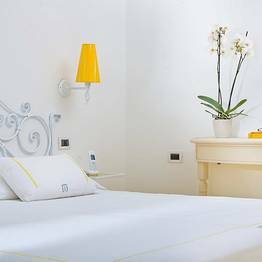 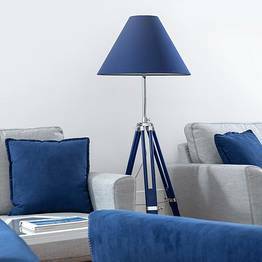 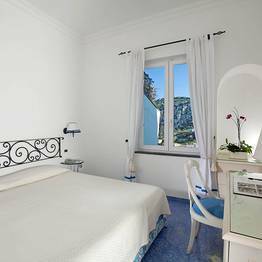 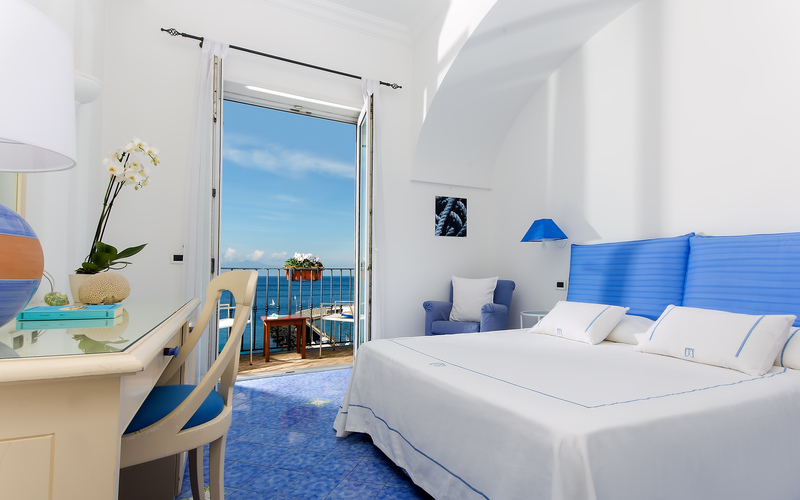 Relais Maresca Luxury Small Hotel Capri: 3 reasons to book here | Capri Booking. 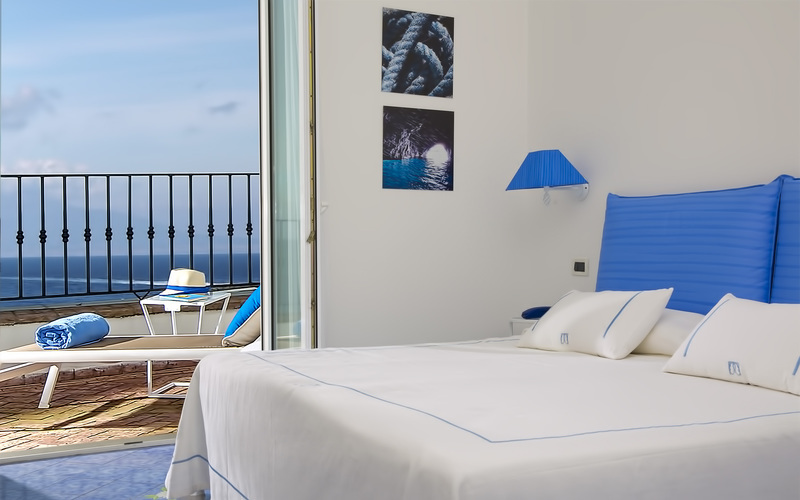 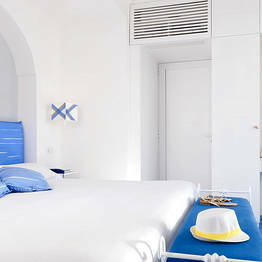 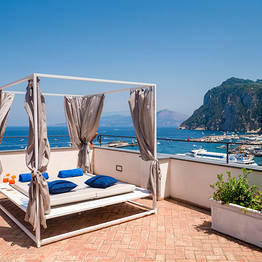 There are not many waterfront hotels on Capri, but Relais Maresca Luxury Small Hotel is one of the few! 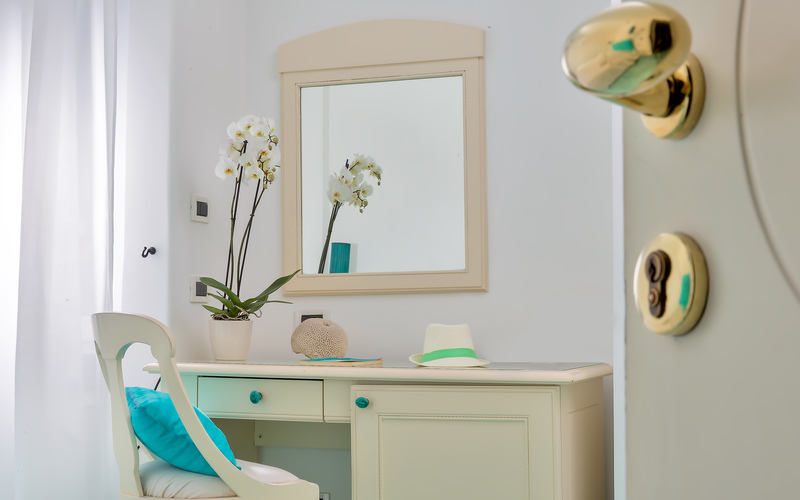 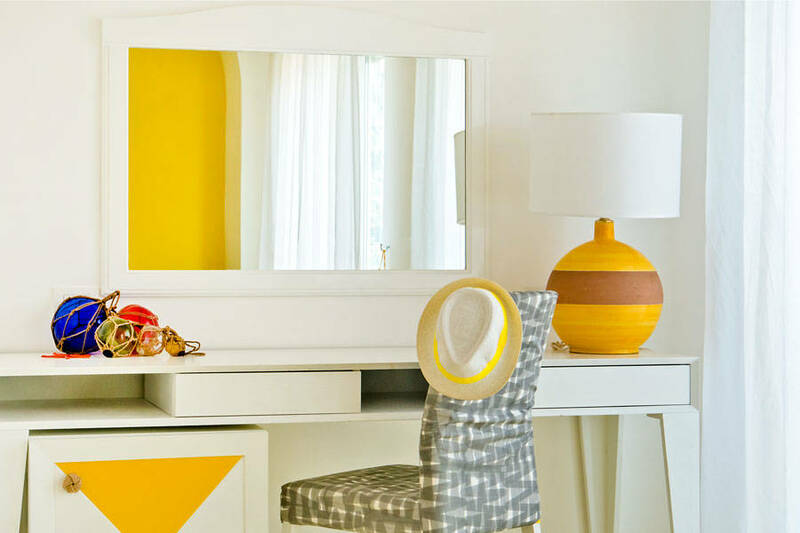 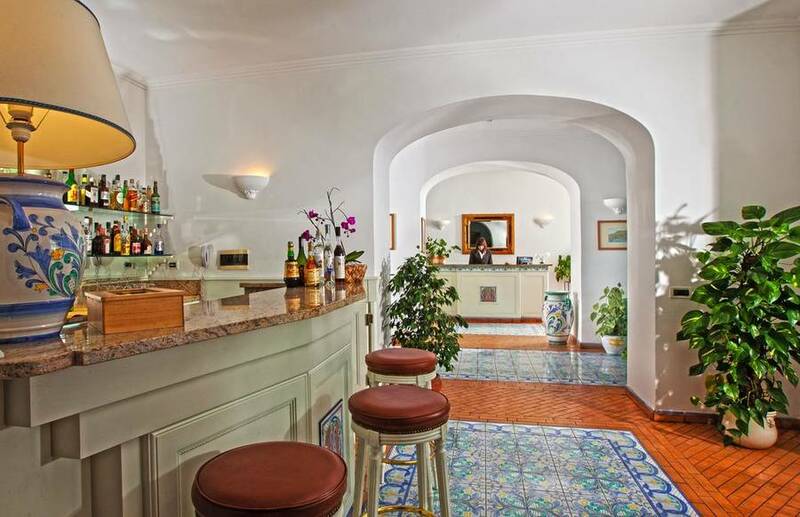 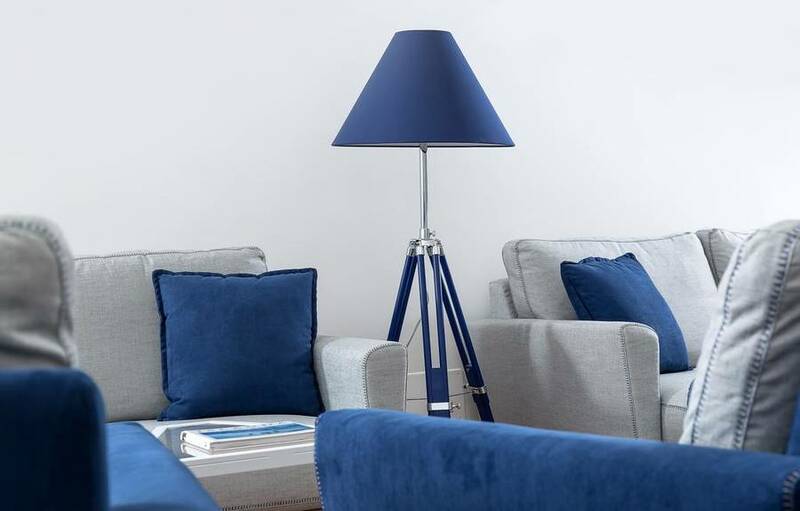 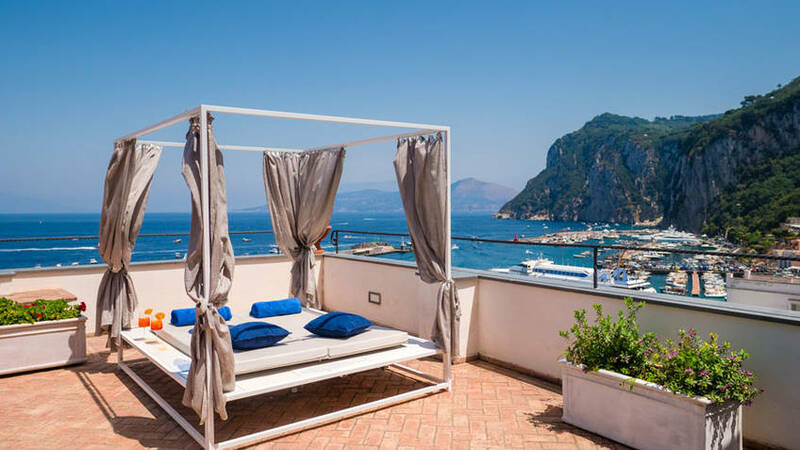 With its stunning, one-of-a-kind location right on the Marina Grande beach and just steps from Capri's port and marina, this four star gem is the perfect choice for an unforgettable stay on Capri. 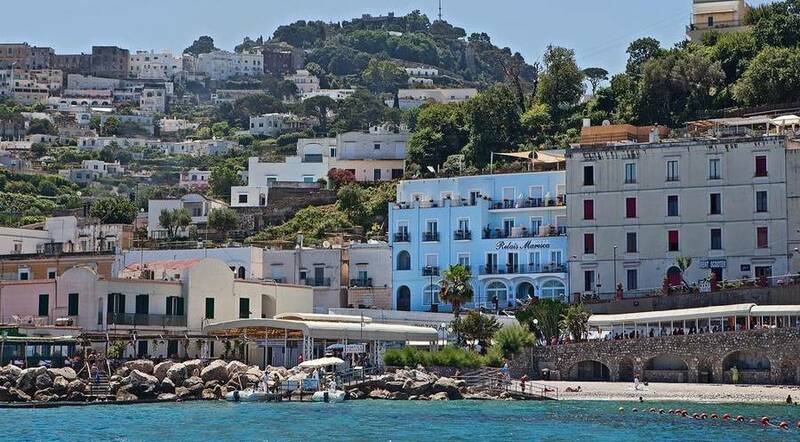 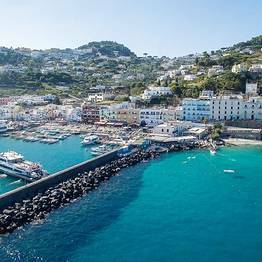 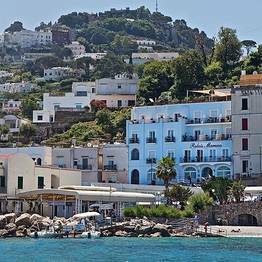 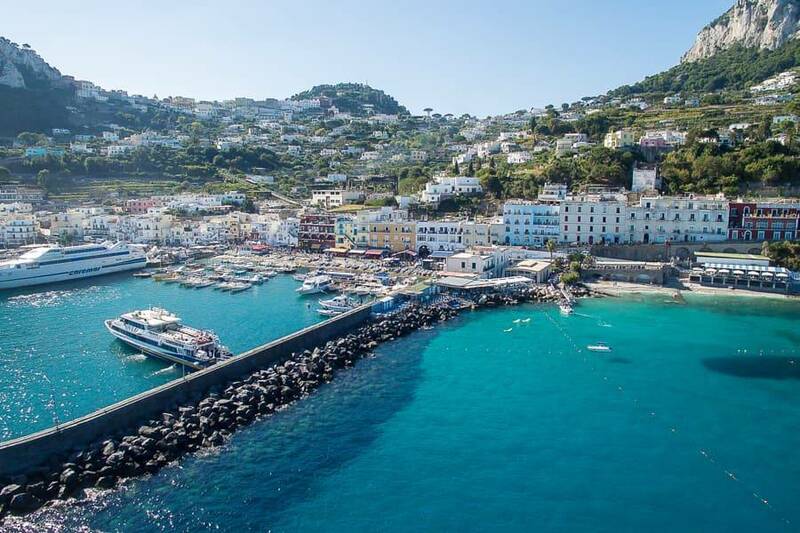 You will catch your first glimpse of Relais Maresca from the ferry as it approaches the colorful houses in Capri's historic fishing village of Marina Grande. 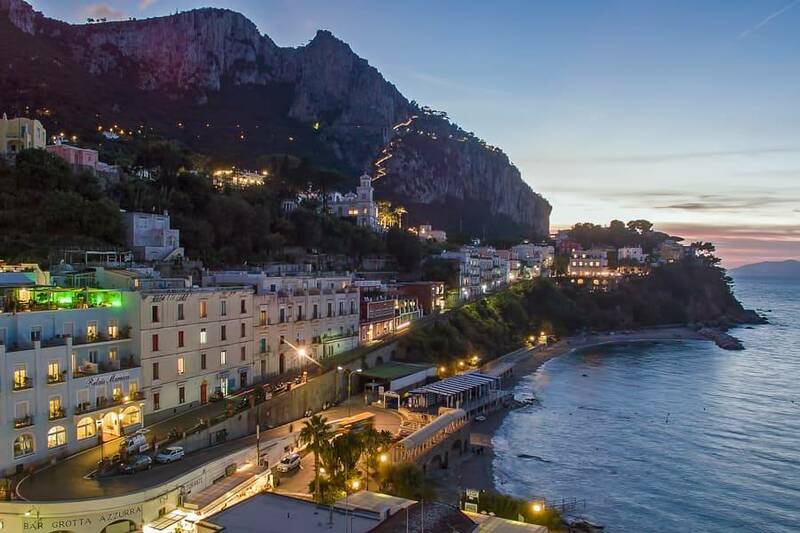 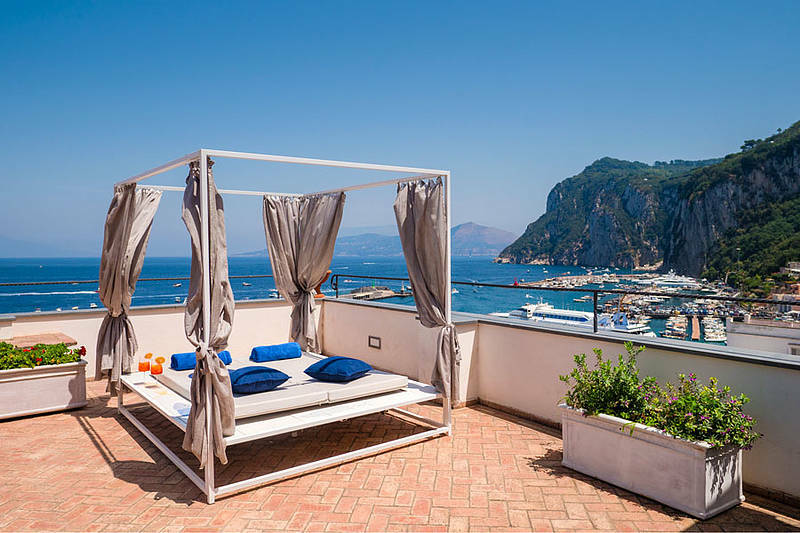 The residence was built at this spot overlooking the Mediterranean at the end of the 19th century by the American Colonel John Clay Mackowen, and later became one of Capri's first historic hotels. 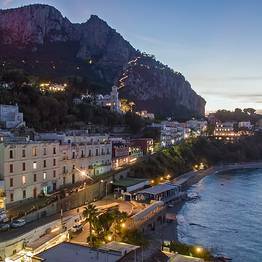 More than a century has passed since the Relais Maresca Luxury Small Hotel first began welcoming travellers to this stunning island, but the original hospitable atmosphere of an authentic fishing village has remained unchanged, especially as evening falls and the daytrippers to the island have left. 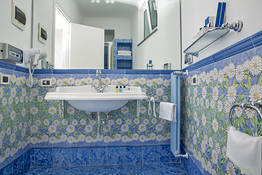 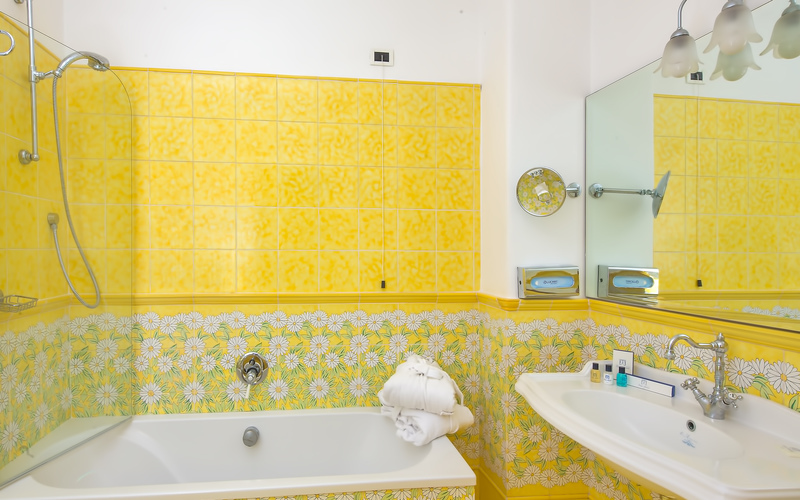 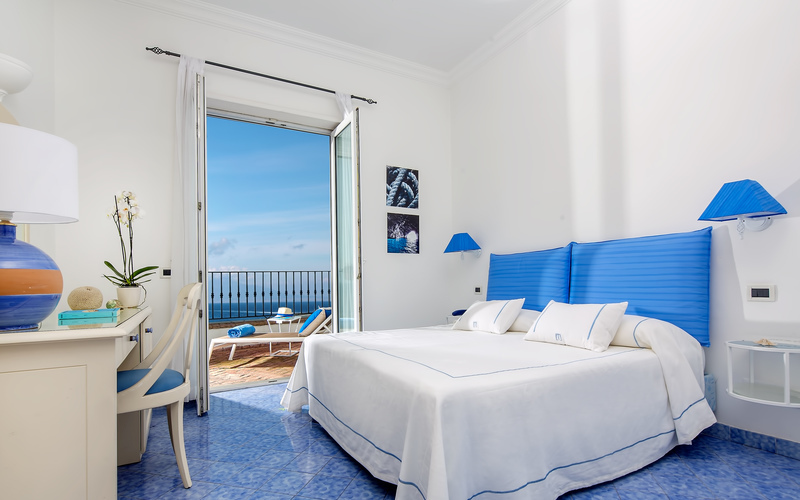 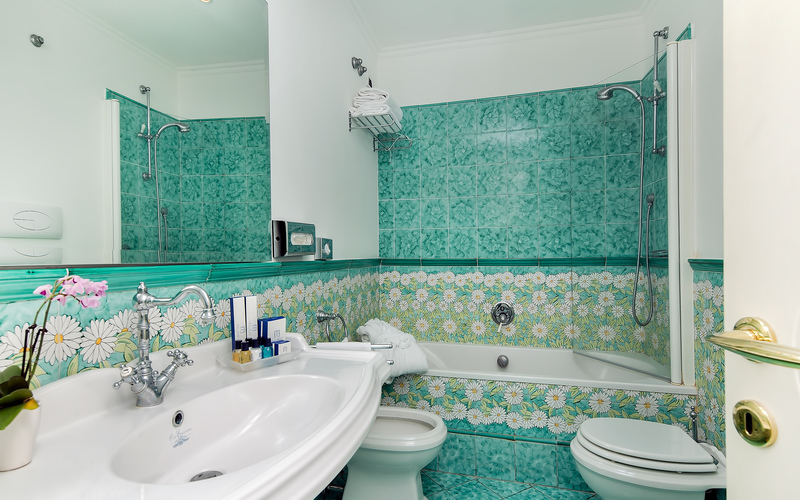 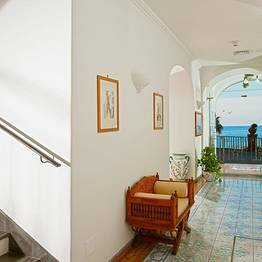 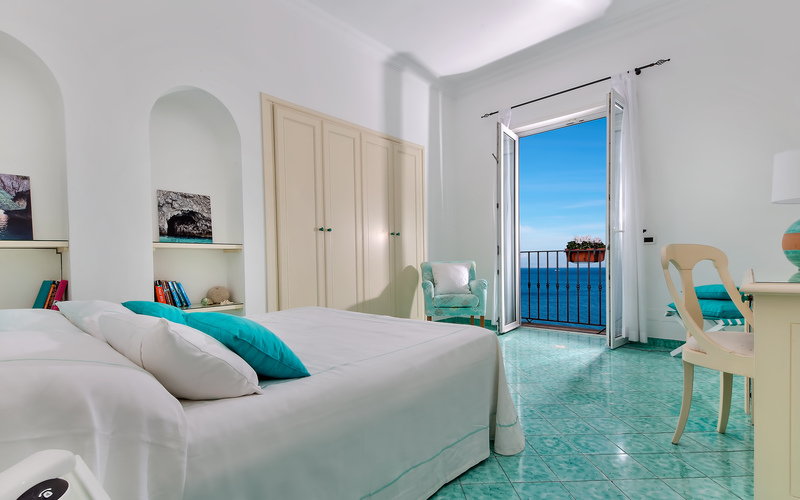 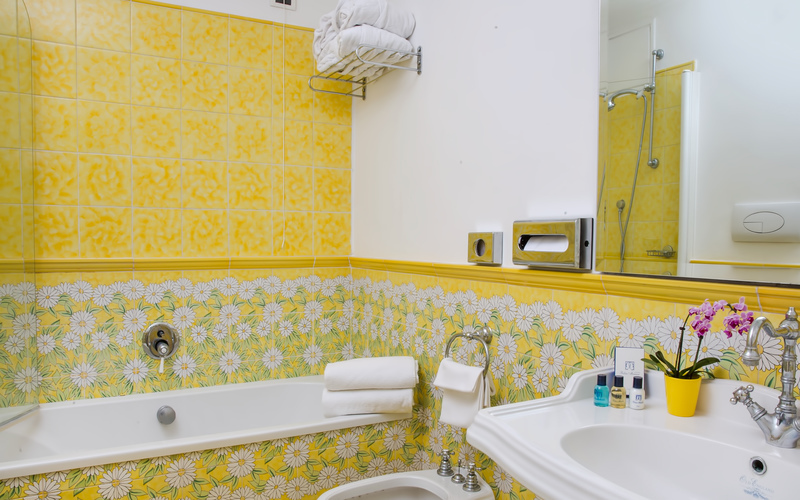 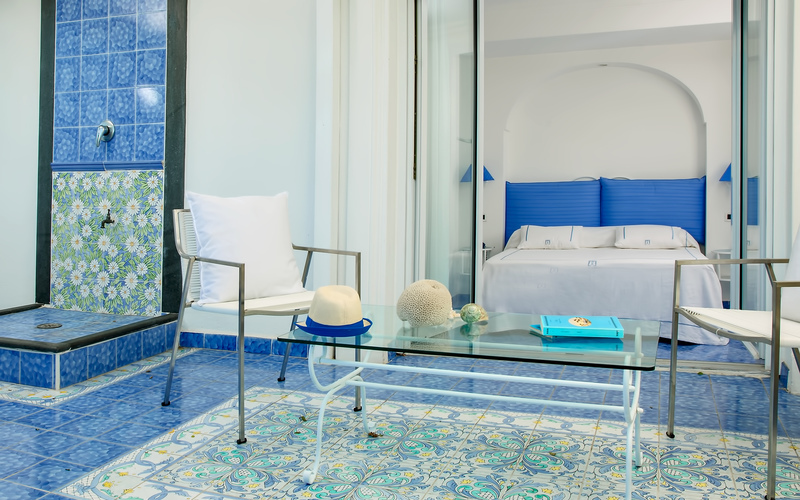 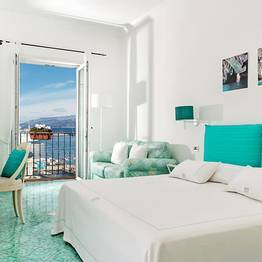 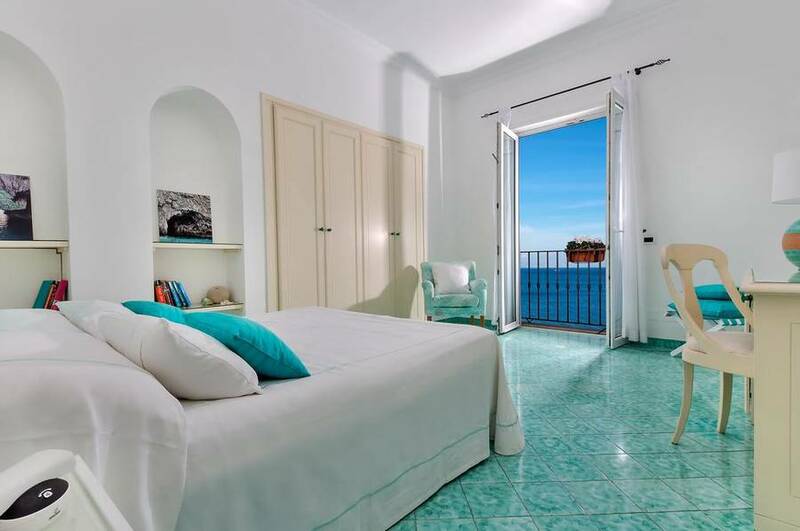 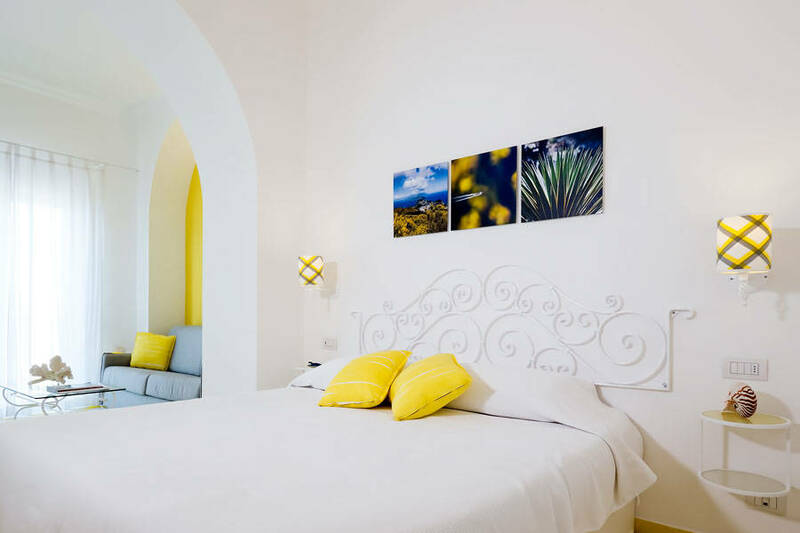 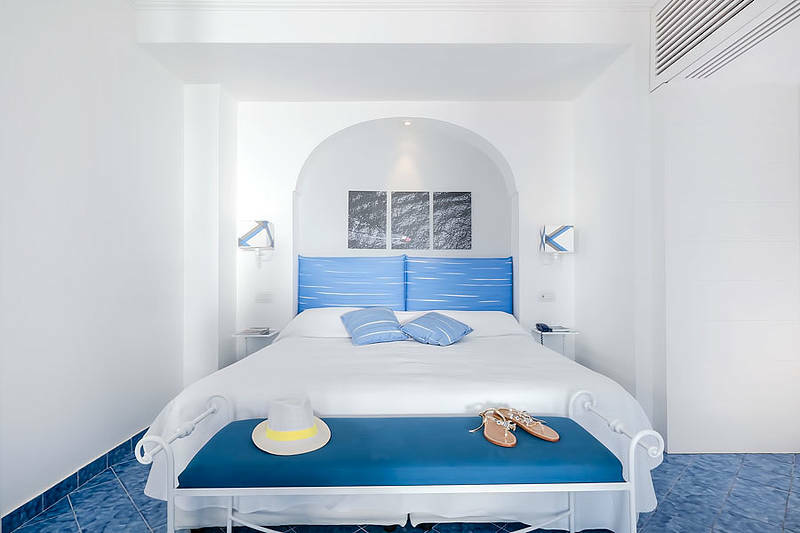 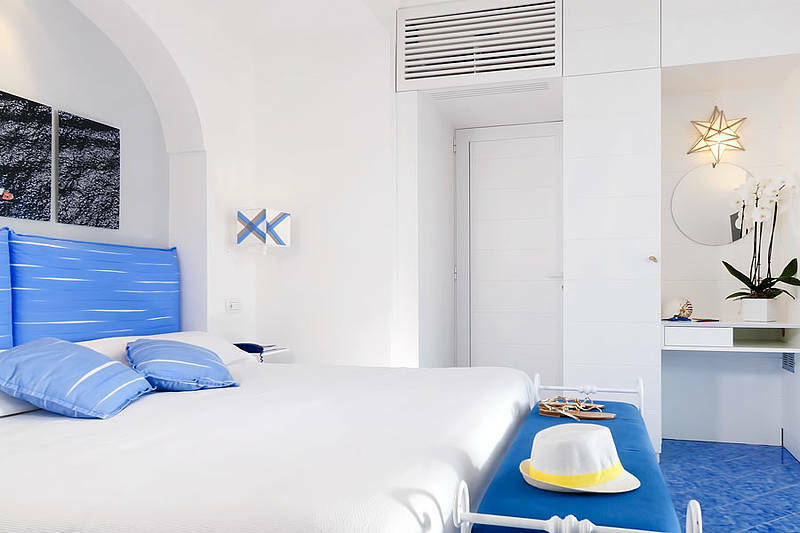 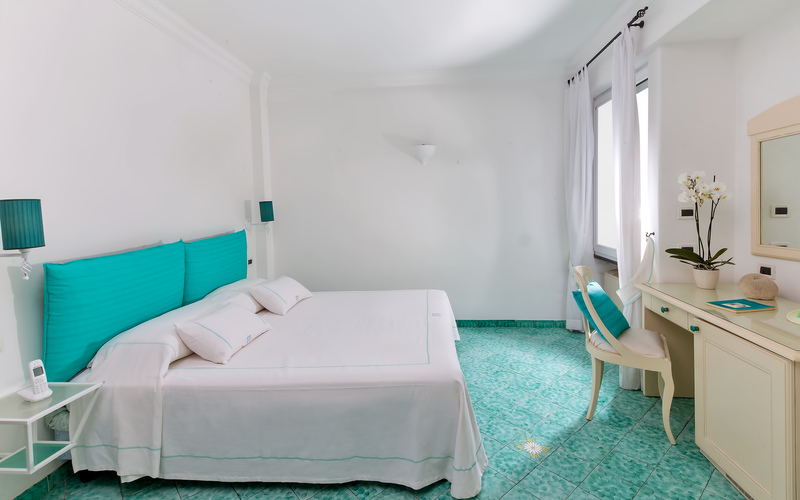 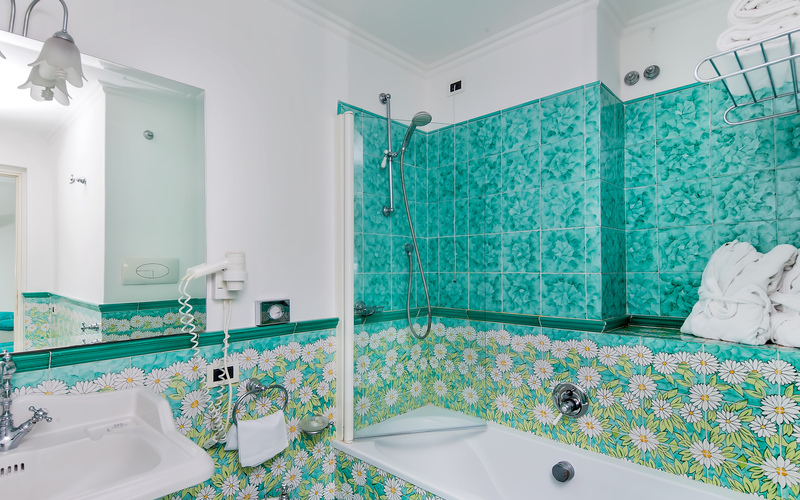 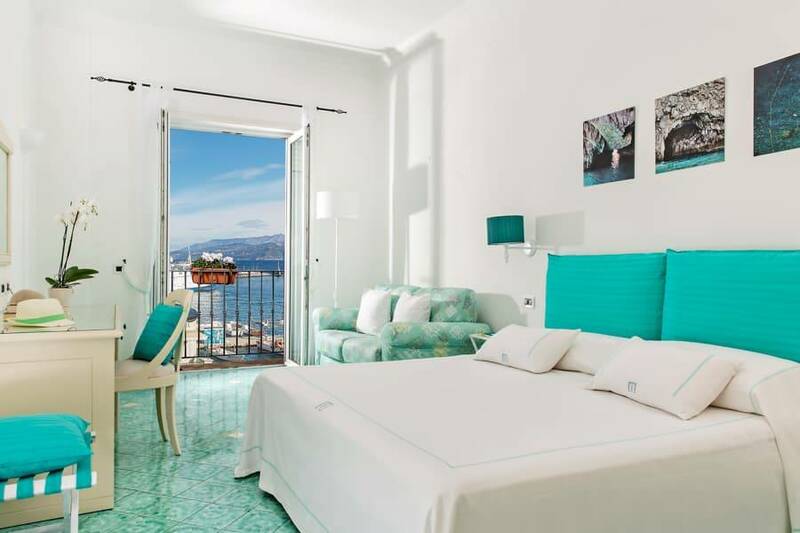 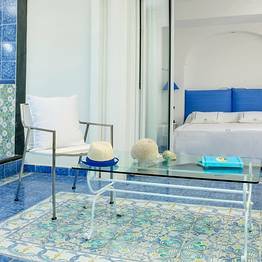 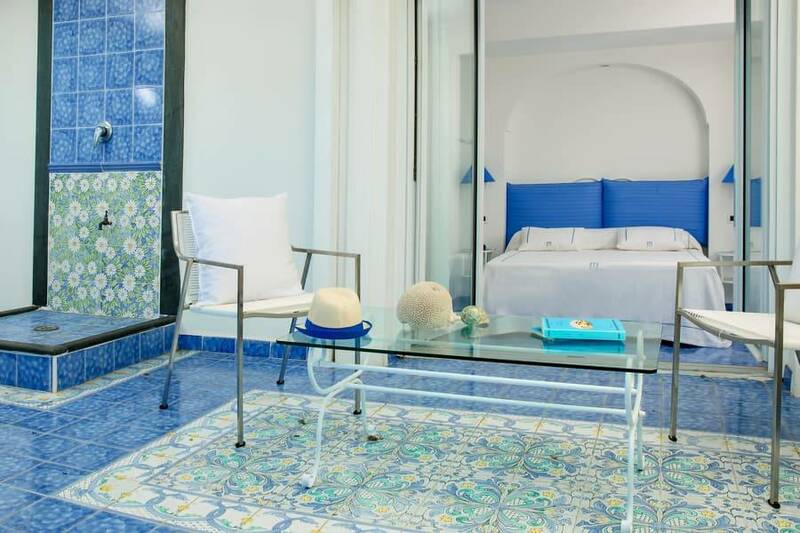 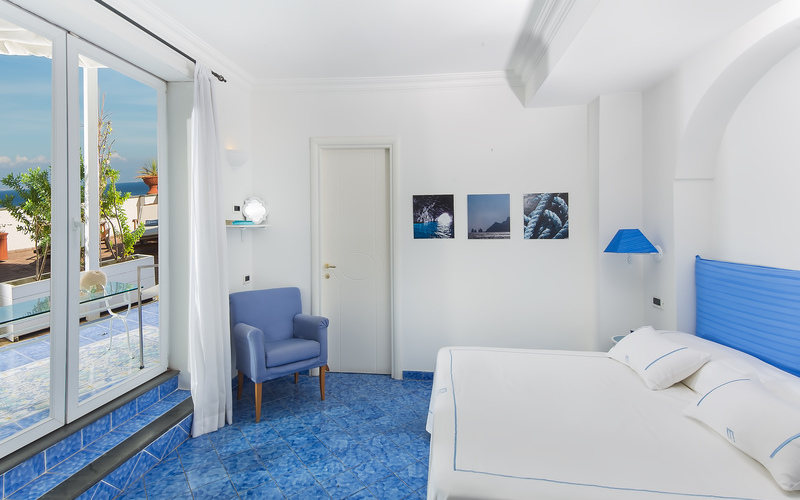 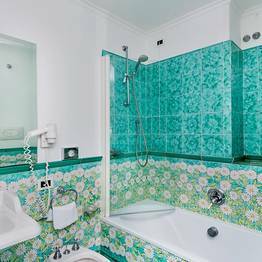 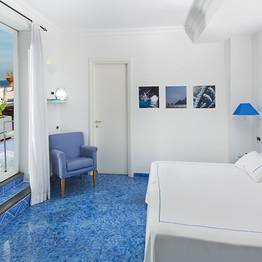 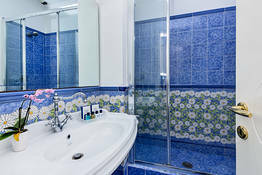 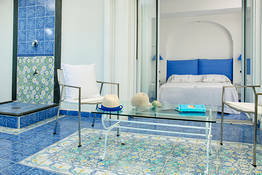 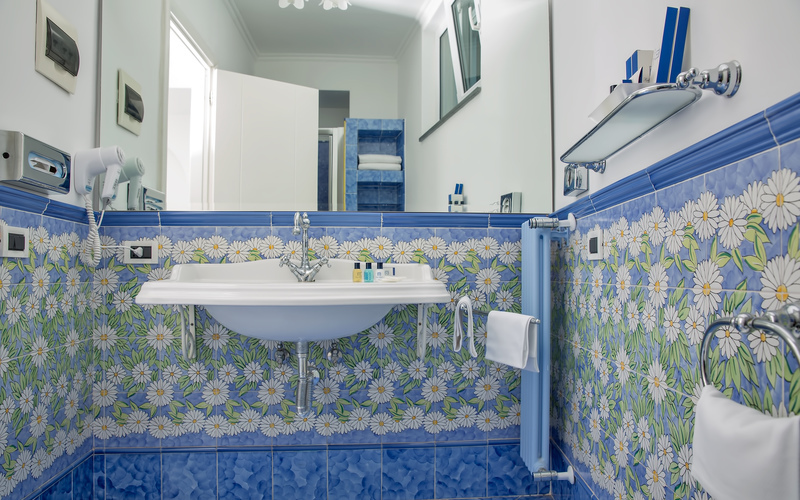 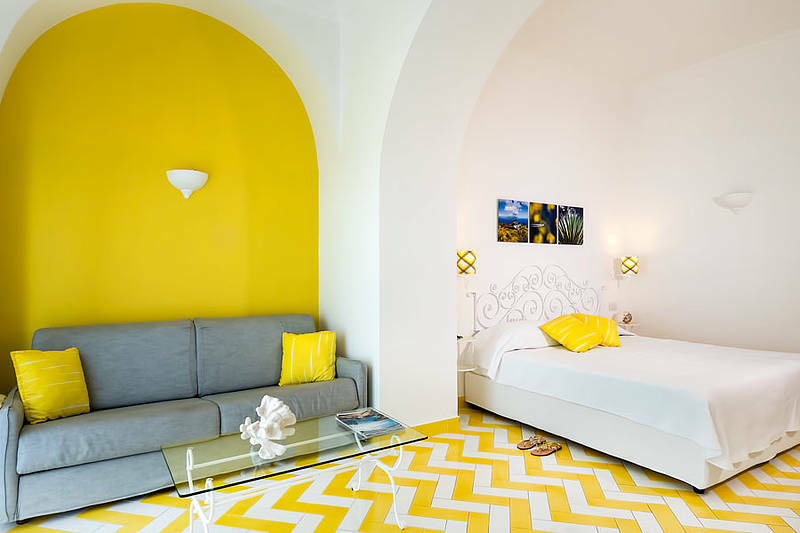 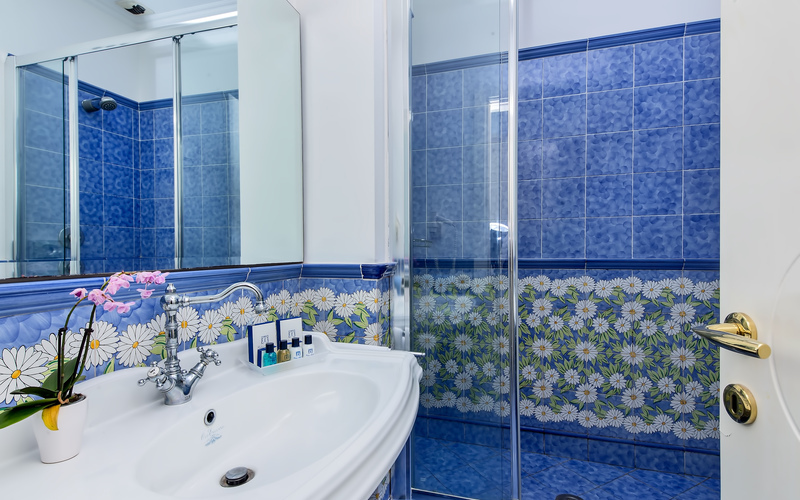 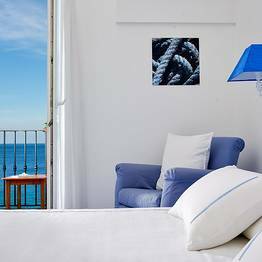 The interiors of Relais Maresca's perfectly sound-proofed bedrooms, almost all of which boast spectacular views of the Bay of Naples, are decorated in classic Capri style, with majolica floor tiles the color of the sea, soft white drapes and luxurious Italian linen. An endless view of Capri's sky and sea await guests who book the exclusive Attic room with a private terrace at Relais Maresca. 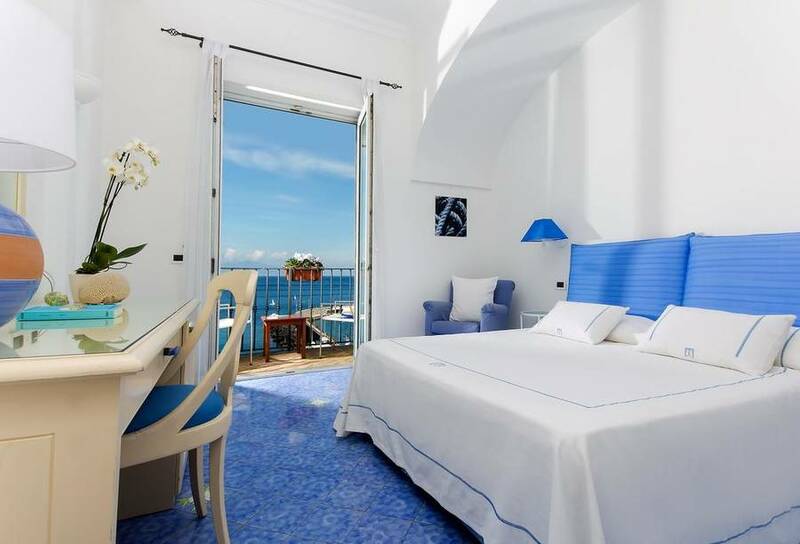 Relax and sunbathe or dine in perfect privacy against the backdrop of the Bay of Naples. 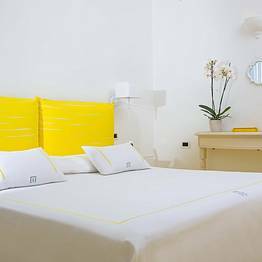 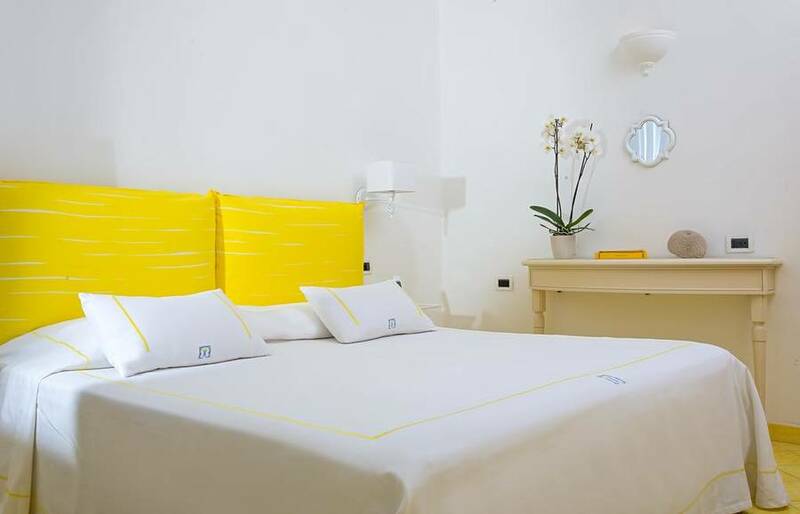 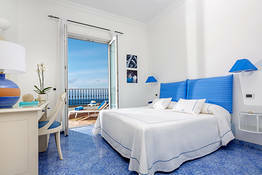 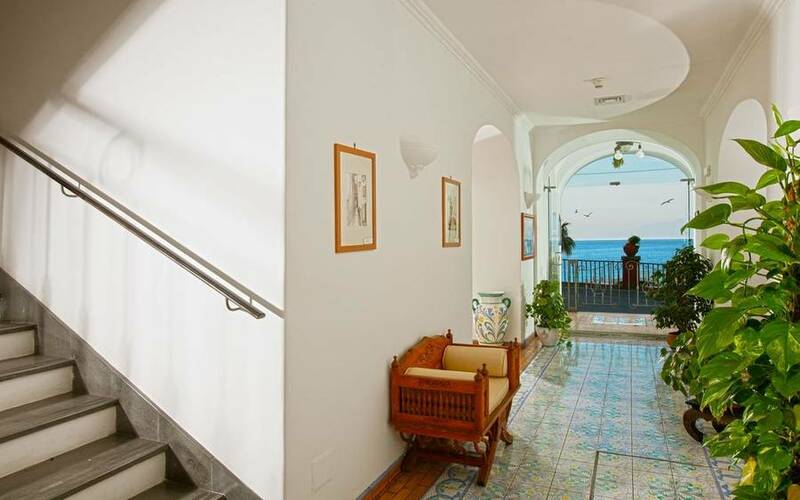 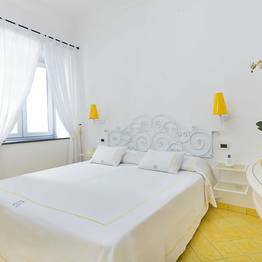 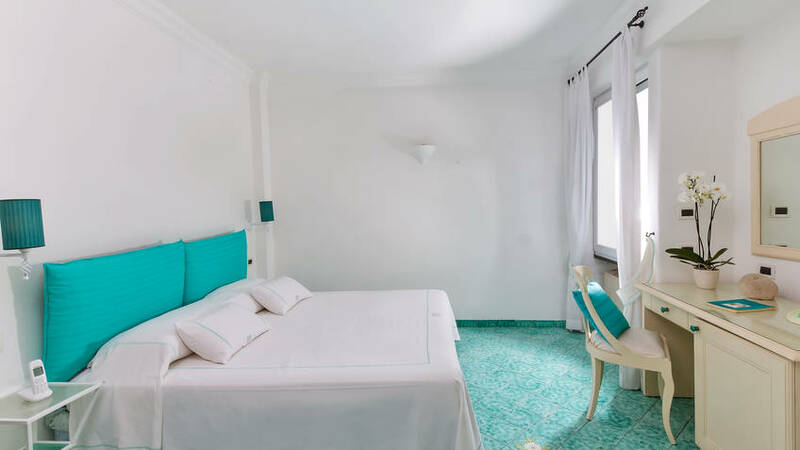 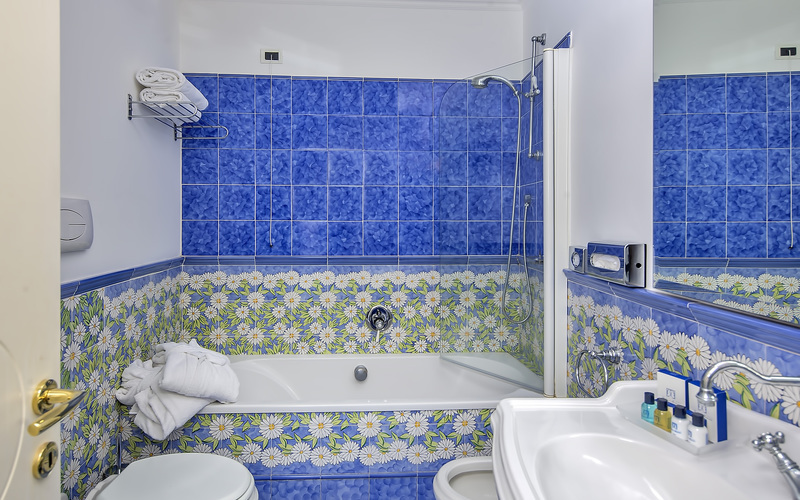 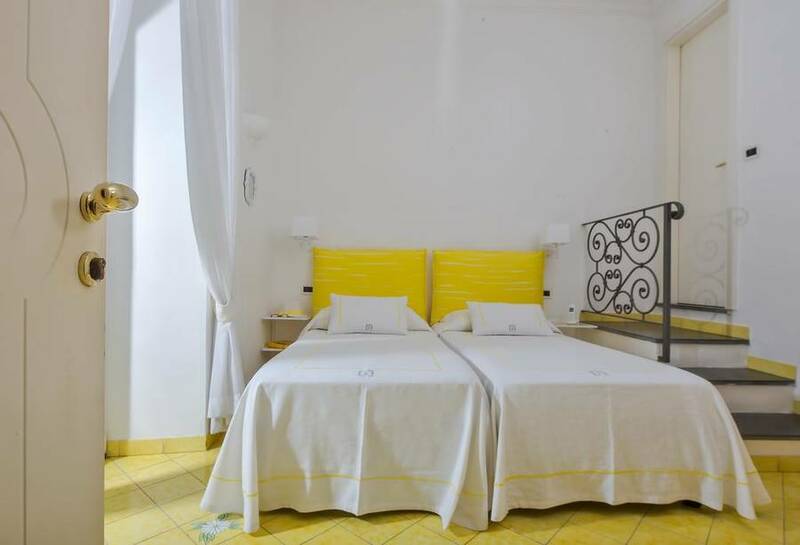 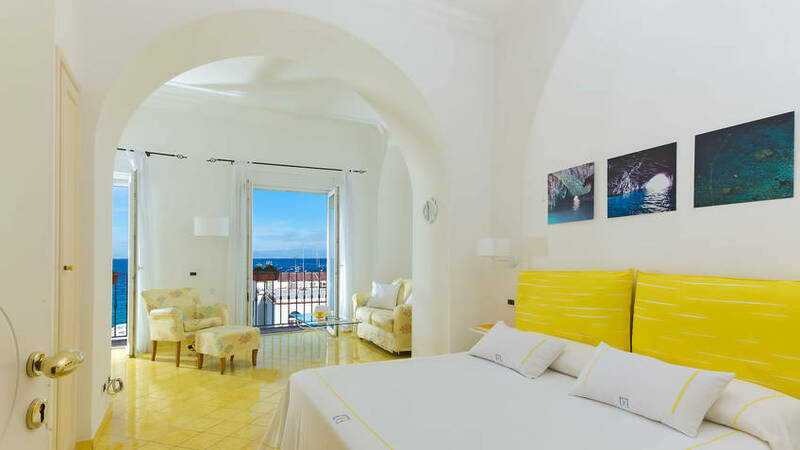 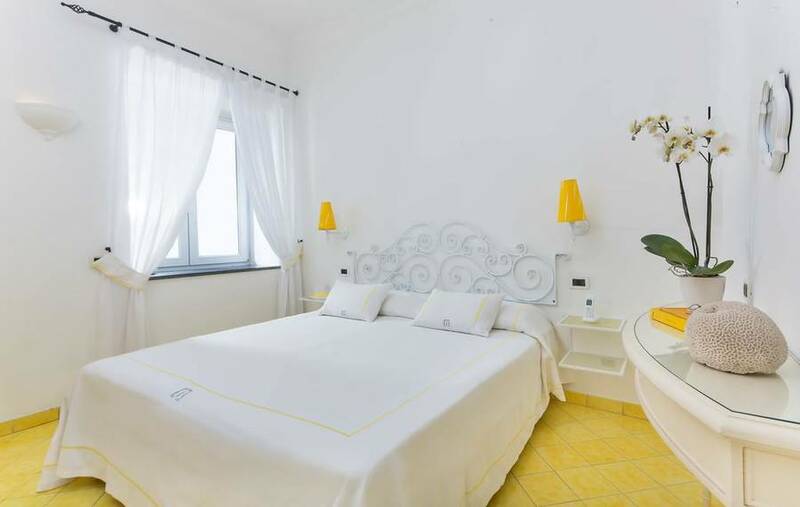 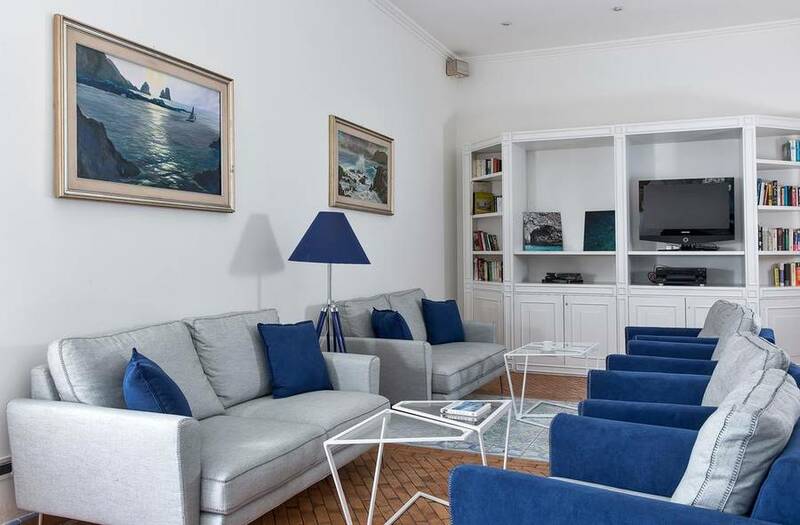 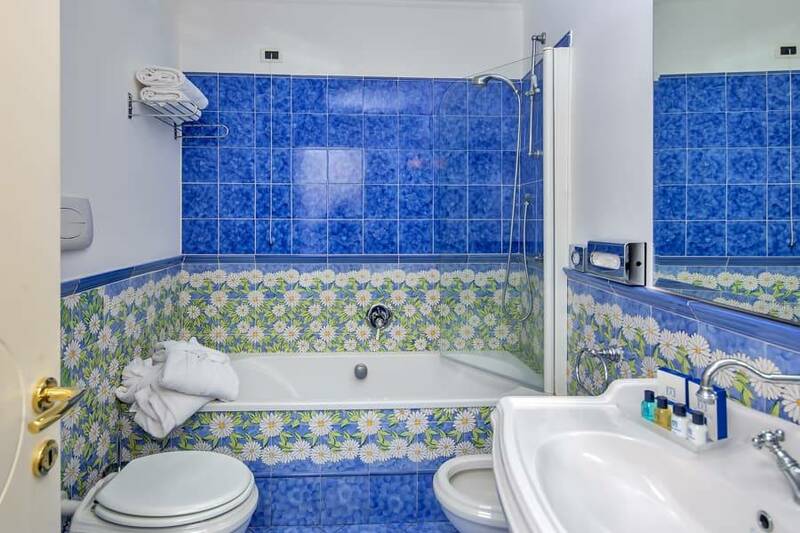 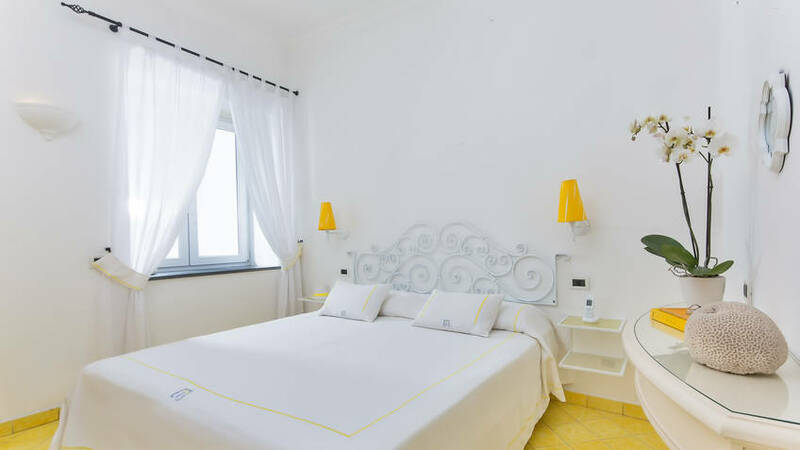 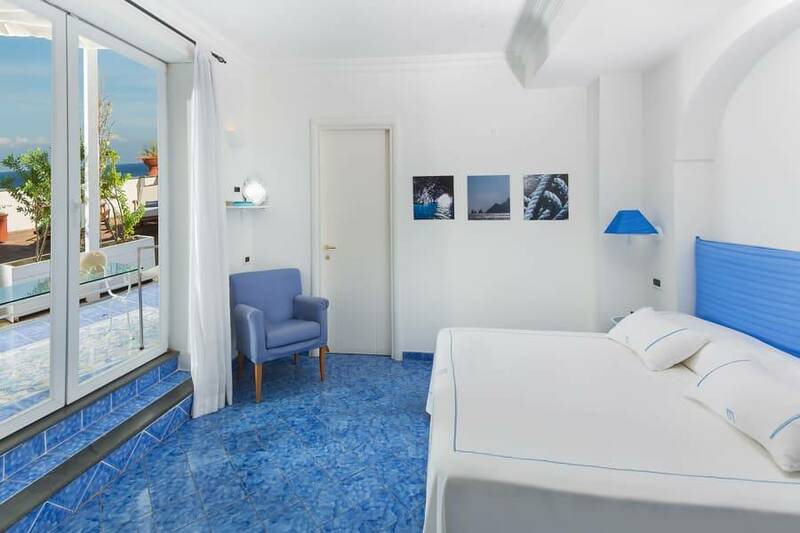 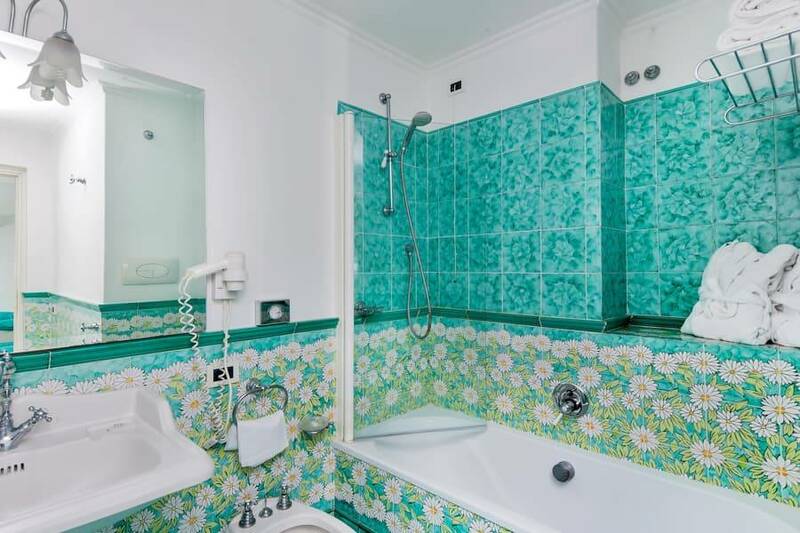 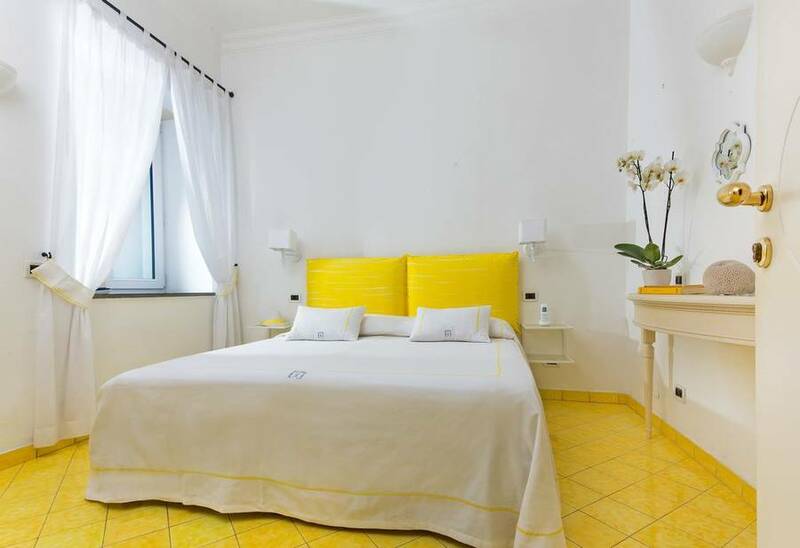 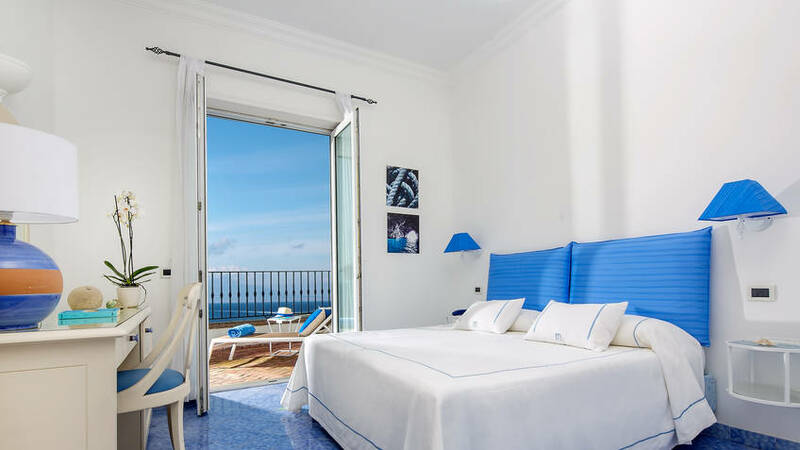 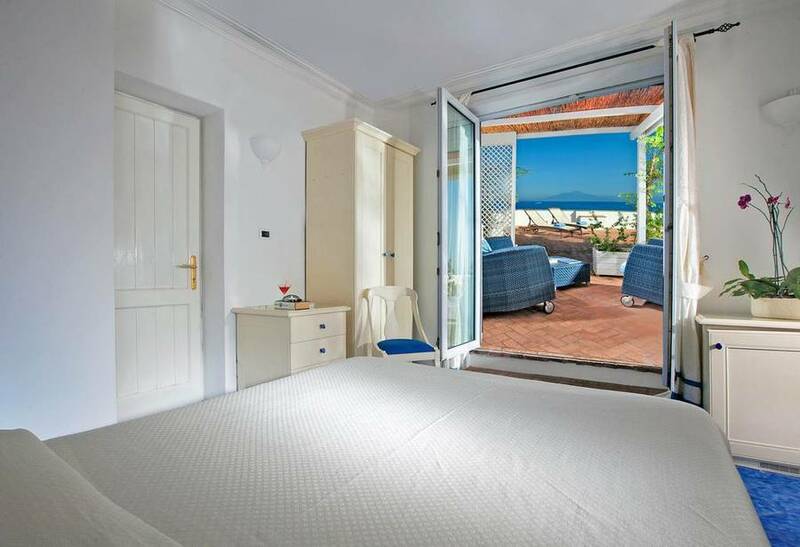 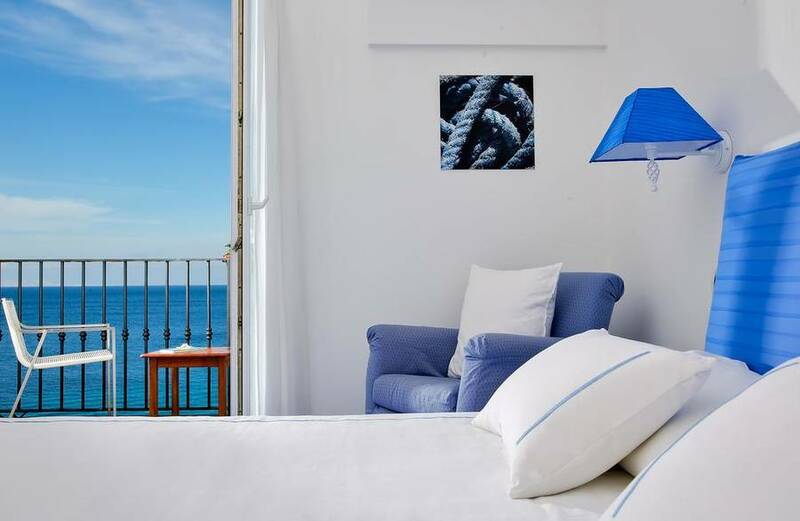 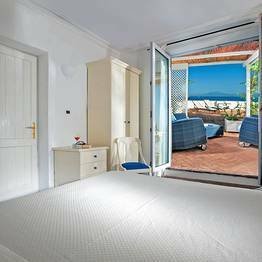 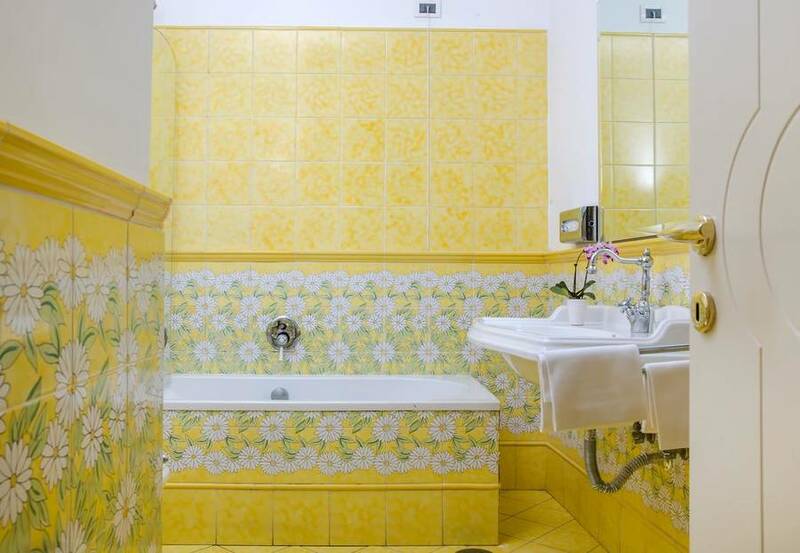 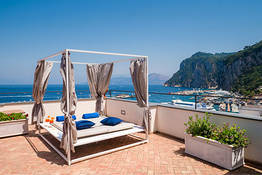 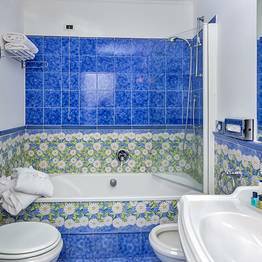 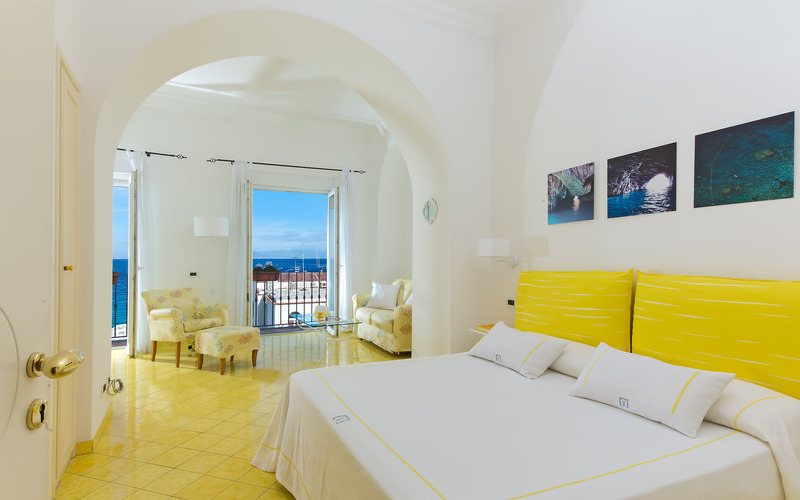 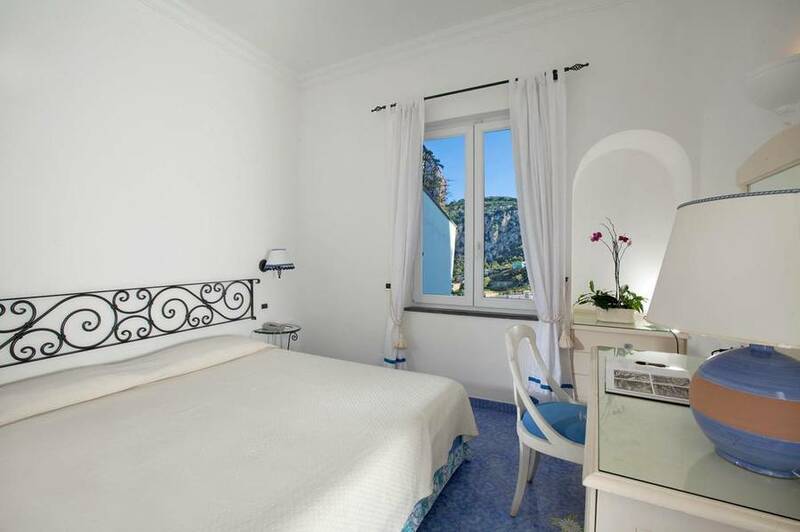 Enjoy the comfort and services of a 4 star hotel in Capri with personalized attention and breathtaking views over the sea surrounding Capri from the balconies of select rooms and the hotel terrace where guests can gather to dine or relax. 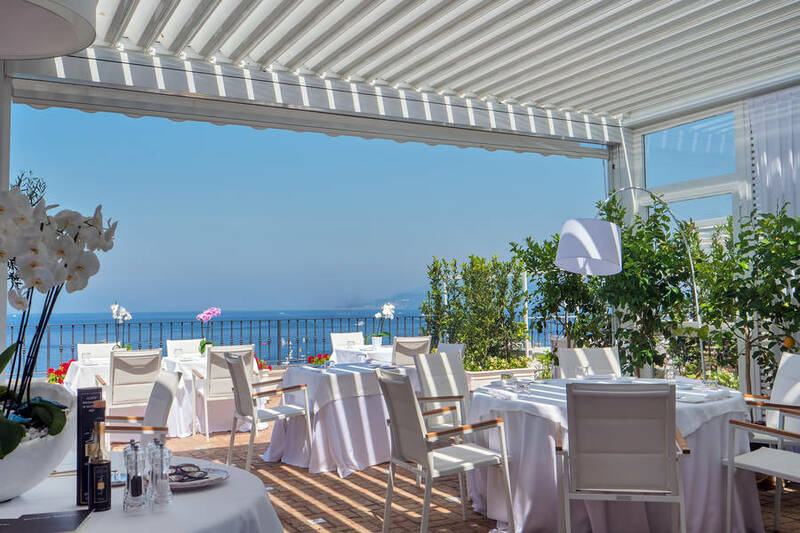 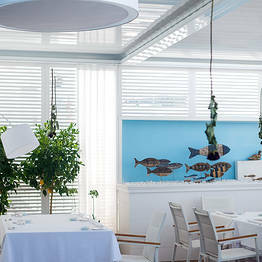 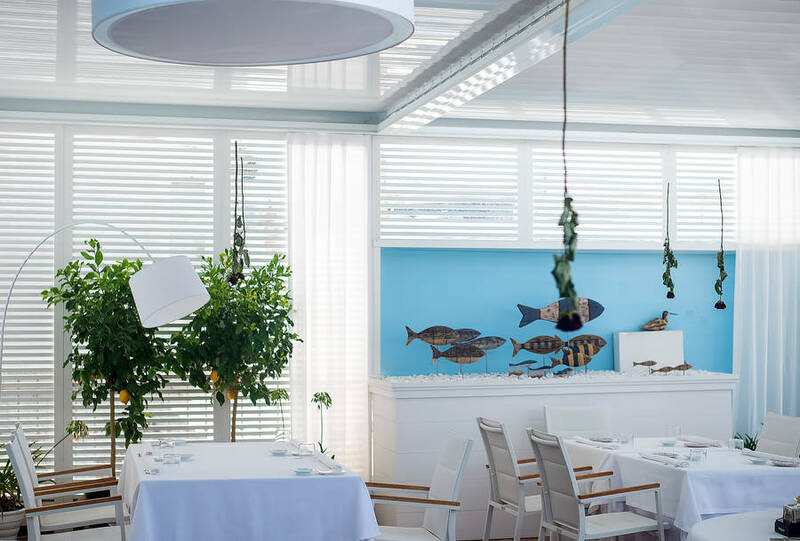 The signature feature of the Relais Maresca Luxury Small Hotel is, without doubt, the Terrazza Maresca restaurant, where guests enjoy the fresh fish and delicious local pasta dishes paired with the best local and national wines whilst gazing down over the buzzing port of Capri below. 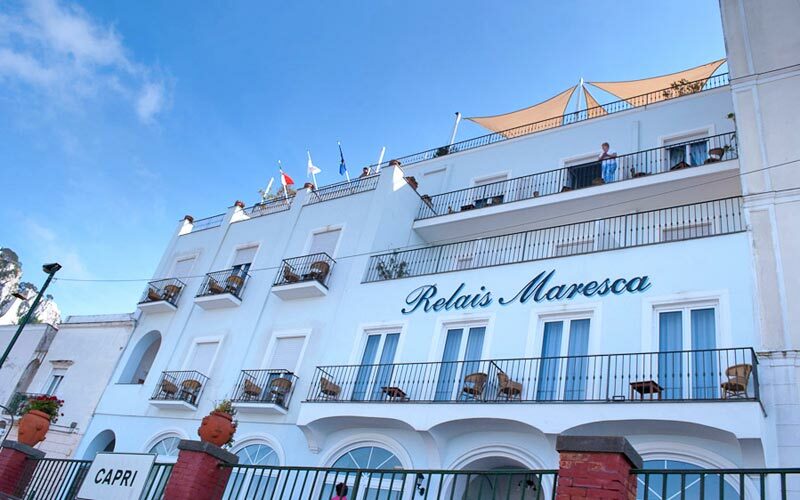 The menu at Relais Maresca includes gluten-free, vegetarian, and vegan dishes, so everyone can enjoy a meal to remember! 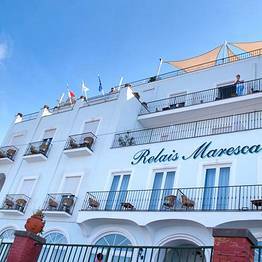 Guests at the Relais Maresca Luxury Small Hotel are just steps from the Marina Grande beach, the perfect location for organizing a day at sea, perhaps even a boat tour of the island onboard a traditional gozzo fishing boat, to discover the prettiest beaches and most breathtaking sea caves. 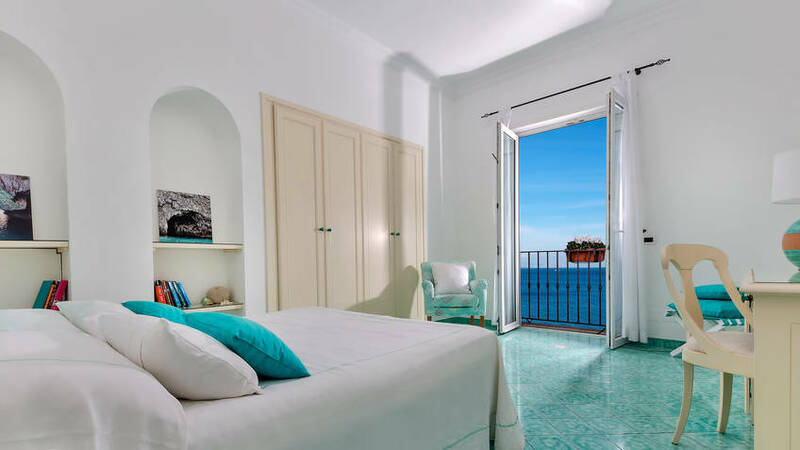 Those who want to explore further afield can easily cross over to the Amalfi Coast for a day in Positano. 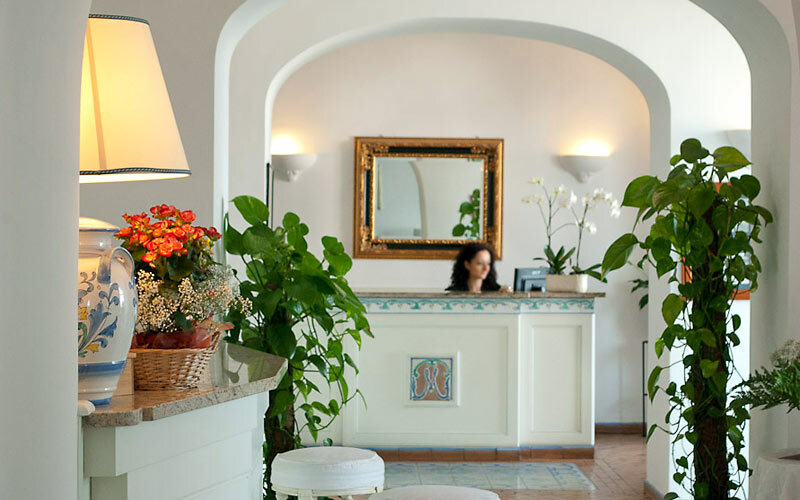 Just ask the hotel staff to help arrange a private tour or transfer... or even a relaxing spa treatment right in the hotel! 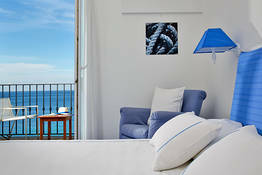 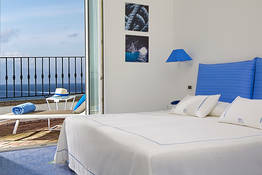 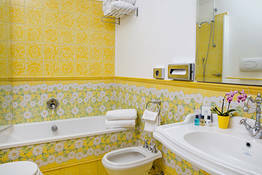 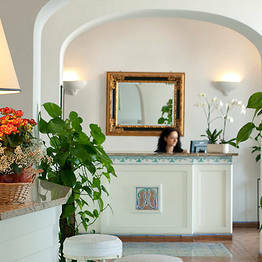 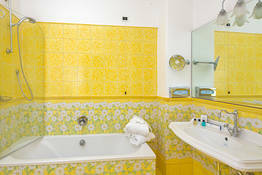 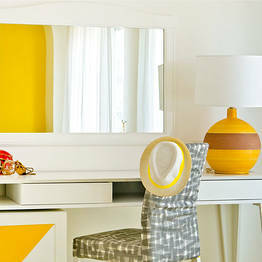 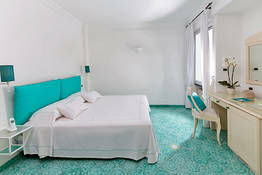 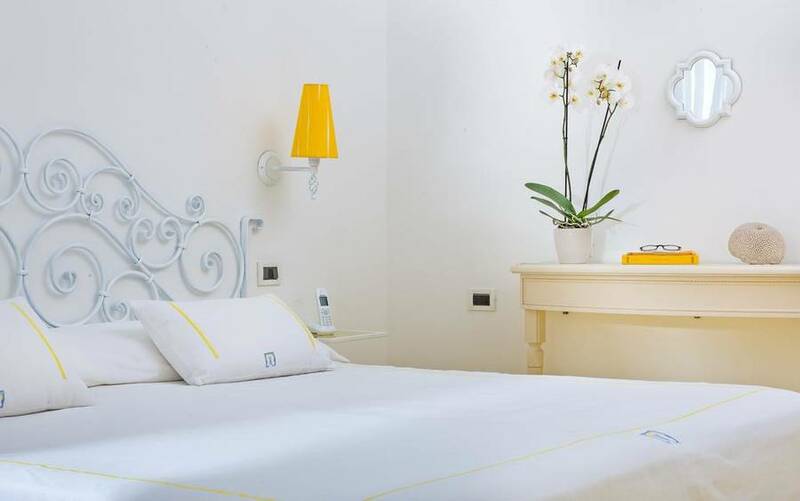 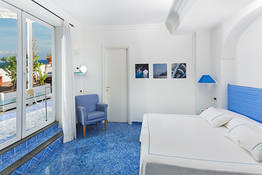 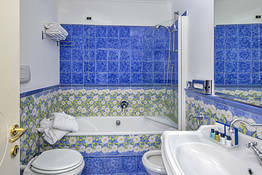 Book Relais Maresca Luxury Small Hotel on Capri.com now with no additional booking fees.